Well we made it through the night. He was so alert I was not too concerned but the vet did tell us that when birds decline, they go fast. Bert crowed at 6:30 this morning! It didn't wake me up because I did not sleep on bit last night. Even after taking two advil with sleep aide! I went downstairs and checked on Bert a few times during the night and he was lying quietly resting. Surprisingly it was fairly easy to give him his medicine. Jim holds him steady on the counter and I open his beak and slowly shoot it down his throat using a syringe. 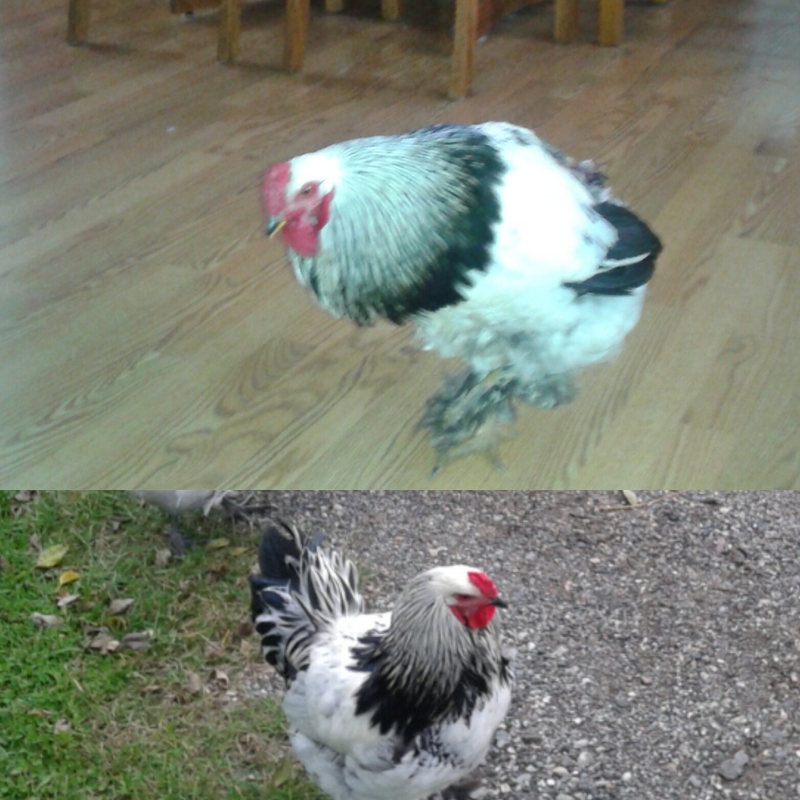 I had Bert walk around the house a little this morning to get some exercise. 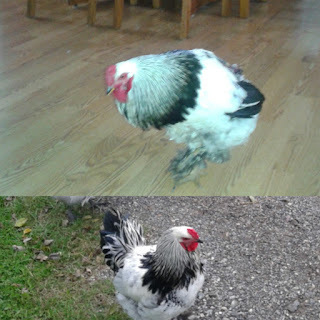 In the photo you can see he has no more tail feathers compared to a photo taken this past fall. I thought I would spare him the indignity of showing his naked bloody rear! We have a follow up appointment with a vet at our normal veterinary clinic, Cascade Hospital for Animals. They have an avian specialist. Bert was eating a little last night and I did see evidence that he at least splashed some water. So I'm assuming he drank some. 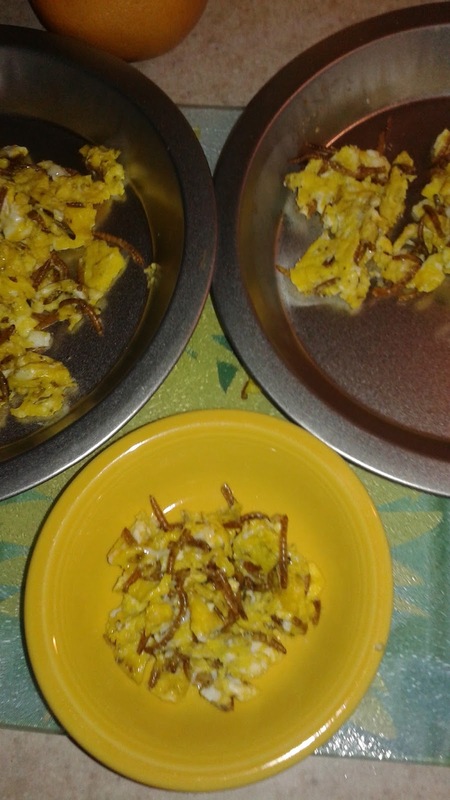 I made everyone some scrambled eggs with mealworms and some fresh blueberries this morning. I want to make sure Bert gets extra protein for his body to start growing feathers. I sat him on my lap and tried to get him to eat it. He eat a couple blueberries. I figure now is a good time to get him used to being held. So I'll start with him sitting on my lap and getting treats! I'm at least happy that Bert seems to be doing well. Still very sad about the girls we lost. I'll keep you posted on Bert's progress.